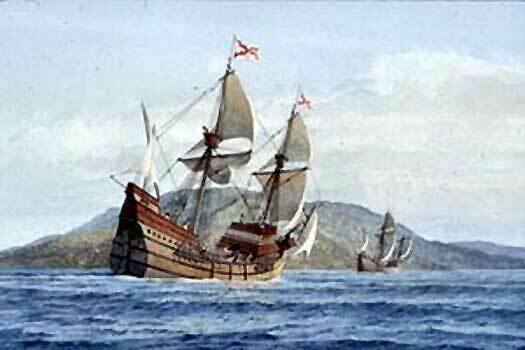 Honduras was first claimed for Spain on 30 July 1502, but settlement didn't officially begin until 3 May 1524. Administered under the Spanish colony of New Spain, this Central American province came to be known as Spanish Honduras during the colonial period to differentiate it from British Honduras (modern Belize). From his base at the new colonial capital of Mexico City, the Spanish conquistador Pedro de Alvarado explored and conquered territory to the south between 1523-1527. Honduras was created a province in 1532, and as with all the territory gained in southern Central America, it was incorporated into the captaincy general of Guatemala in 1543. This consisted of modern Chiapas, Costa Rica, El Salvador, Guatemala, Honduras, and Nicaragua. Spanish conquistador Pedro de Alvarado is sent out by Hernan Cortes at Tenochtitlan to conquer the highlands of Guatemala. He first targets the Quiche people and then his initial allies, the Cakchiquel. An initial attempt in June 1524 to conquer what later becomes El Salvador is rebuffed by the native Pipil and their Mayan neighbours. Two further expeditions in 1525 and 1528 bring the Pipil under control, but Alvarado, wounded in the first campaign, leads from Guatemala. Pedro de Alvarado of Guatemala is named governor of Honduras and its single Spanish colony at Trujillo, but he ignores the royal command. Pedro de Alvarado is confirmed as governor of Honduras. However, this is contested, and in 1540 he is replaced. Antonio de Mendoza, first viceroy of New Spain, vigorously encourages the exploration of all of Spain's new territories in the Americas. 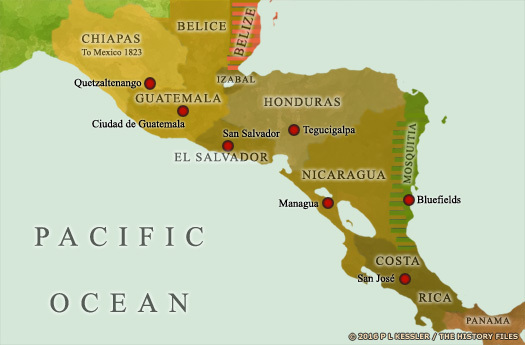 The province of Guatemala is firmly established to the immediate south of New Spain, formed of Chiapas, Costa Rica, El Salvador (1528), Guatemala (1523), Honduras (1532), and Nicaragua. While formally subject to New Spain, the region is administered separately as a matter of practicality. Confirmed as first governor. Died c.1553. Honduras is governed by a local council known as the Corregidores which essentially holds the same powers as the governor. Honduras is divided into the provinces of Comayagua and Tegucigalpa. The position of governor of Guatemala is raised to that of captain general (although some sources state that this happens in 1570). Later governor-general of Guatemala (1761-1765). The position of governor is renamed governor-intendant. Intendants typically control a colony's entire civil administration, second only to the governor himself, but in Honduras the positions are combined. Continuing from 1783 under his new title. Tegucigalpa is consolidated with the government of the province of Comayagua on 24 July to create the province of Honduras. Remained governor in name until 1808. Acting Governor for the absent Anguiano (1804-1808). In 1810 various wars of independence break out across the Spanish Americas, including New Spain and Guatemala, while Peru serves as a centre for the royalist opposition to these revolts. Two years later the Cadiz Cortes divide Guatemala into two provinces; one called Guatemala which encompasses Chiapas, El Salvador, Guatemala, and Honduras; and the other which is called Nicaragua & Costa Rica. This division lasts only until 1814, but is briefly resurrected in 1820-1821. Acting Governor on behalf of Castanon (Jan-Feb). Acting Governor (Nov). Died 1857. New Spain achieves independence from Spain, bringing 300 years of governance of the colonies to an end. On 3 October 1821, the captaincy general of Guatemala (Chiapas, Costa Rica, El Salvador, Guatemala, Honduras, and Nicaragua) is annexed to the Mexican empire. Shortly before this, Honduras ceases to exist as a single province - it is divided back into the provinces of Comayagua and Tegucigalpa, each with its own governor. Honduras initially existed as two separate provinces which were only formally united in 1791. Following the achievement of independence from Spain and shortly before the region's incorporation into the Mexican empire, Honduras was again divided into its constituent parts, although only briefly. Comayagua lays to the north-west of its sister region of Tegucigalpa, and was originally christened Santa Maria de la Nueva Valladolid by the conquistador, Alonso de Caceres, in 1537. Governor (Sep-Nov). Former governor of Honduras (1818-1821). Governor (Nov-Dec). Former governor of Honduras (1821). The region is incorporated directly into the Mexican empire. 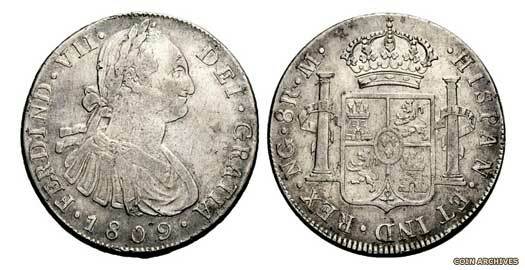 Honduras initially existed as two separate provinces which were only formally united in 1791. Following the achievement of independence from Spain and shortly before the region's incorporation into the Mexican empire, Honduras was again divided into its constituent parts, although only briefly. Tegucigalpa lays to the south-east of its sister region of Comayagua, and its name is thought to originate from the Maya-Nahuatl name 'Taguz Galpan', which translates as 'Silver Mountain'. The region is incorporated directly into the Mexican empire, a little later than Comayagua. The southern Central American states split from the Mexican empire to form their own Federal Republic. Honduras is formally created as a state within the republic on 16 September 1824. The republic exists in a sometimes shaky state of peace for the first decade or so, but internal tensions became more apparent thereafter, tearing the republic apart. The Federal Republic begins to fall apart from 2 February 1838, dissolving into civil war. On 31 May the republic's congress meets to declare that the provinces are free to form their own independent republics, although this is just official recognition that the break-up has already begun. With Guatemala leading the anti-federalist revolt, Nicaragua leaves the federation on 5 November 1838, and then Costa Rica and Honduras follow suit. El Salvador is the last state to proclaim an independent government in February 1841, officially bringing the federal republic to an end. Located in Central America, Honduras borders modern Guatemala to the north, El Salvador to the west, and Nicaragua to the south. Its capital is Tegucigalpa, which was once the centre of a province in its own right. The territory it covers was previously populated by Mayan groups to the west and the Lencas who superseded them. When the Federal Republic of Central America began to disintegrate in 1838, the five provinces were given permission to become independent states in their own right on 31 May (although this was already happening anyway). Honduras declared its independence soon after 5 November 1838. Despite the failure of the federal republic, the new countries shared a common history and the hope that reunion would eventually come, as evidenced by their many attempts over the years. The attempt by General Francisco Morazan to establish the Confederation of Central America from Costa Rica leads to his death, but the confederation itself lingers on for two years. A second attempt to recreate a federal republic is made with the Federation of Central America. Involving El Salvador, Honduras and Nicaragua, it is established in October, and lasts all of a month. Arriving in Honduras in 1860, US soldier and adventurer, William Walker, who had proclaimed himself president of Nicaragua in 1856, falls into the hands of the Honduran authorities who execute him by firing squad. In the same year, on 14 July, the Bay Islands are ceded to Honduras by Britain. The Swan Islands (incorporating the Great Swan and Little Swan islands) are annexed by the USA. Honduras becomes a fully-fledged republic on 29 September. A diplomatic approach fails between El Salvador, Guatemala, and Honduras in regard to forming a fresh union of Central American states. President Rafael Zaldívar of El Salvador is against the idea despite his predecessors being well disposed towards it. Now the president of Guatemala, Justo Rufino Barrios, attempts to reunite the states of the former federal republic by force of arms, but is killed in battle against El Salvador. General Rafael Antonio Gutiérrez overthrows General Carlos Ezeta, dictator of El Salvador, in a coup on 9 June 1894. He is assisted by Guatemala, Honduras, and Nicaragua, and fellow countryman and close friend General Tomás Regalado. The coup becomes known as the Revolution of the 44. Rafael is a supporter of a central American union, and he moves El Salvador towards such an achievement. The Pact of Amapala, signed on 20 June 1895, heralds a new attempt at creating a union between El Salvador, Honduras and Nicaragua is made. The build-up to the Greater Republic of Central America takes two years. When its constitution comes into effect in 1898 it is rechristened the United States of Central America, but it doesn't survive a military coup in El Salvador in the same year. In July, Honduras declares for the allies in the First World War against Germany and the Austro-Hungarian empire, but takes no active role in the conflict. One more attempt is made at creating the Greater Republic of Central America between El Salvador, Honduras and Nicaragua. A provisional federal council is formed, made up of delegates from each state, but that is as far as the project goes. Honduras joins the Second World War as an ally of the USA and Great Britain on 8 December 1941, against Japan, Germany and Italy. A military coup removes the democratically-elected president, Villeda Morales. A military junta is established to govern the country. Border tensions between Honduras and El Salvador erupt into war following preliminary matches between the two nations for the forthcoming football World Cup. El Salvador launches an attack on Honduras on 14 July, but just six days later the Central American states negotiate a ceasefire. The conflict later becomes known as the Soccer War. The USA hands back the Swan Islands to Honduras on 1 September. New presidential elections are permitted by the military junta and the country returns to a democratic state. 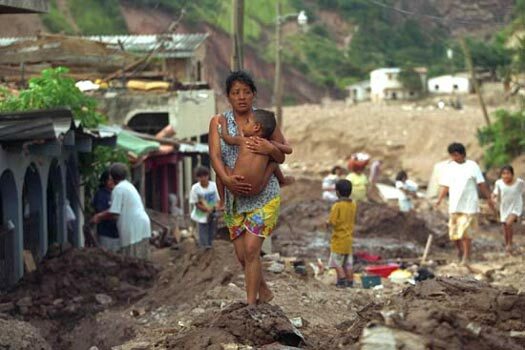 Hurricane Mitch causes devastation to the country, obliterating crops, bridges, roads, and houses, and killing some 5,000 people.